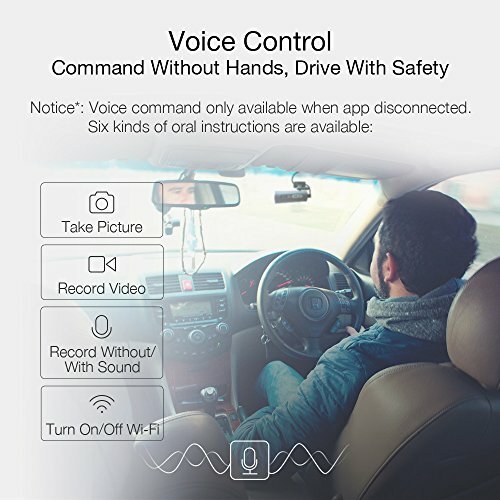 【Voice Control – Command with Sound】: 70mai dash cam can recognize human voice and make quick response according to oral instructions, which frees hands while driving, produces more fun and makes the driving safer. 6 oral instructions are available: Take Picture, Record Video, Record Without Sound, Record With Sound, Turn On Wi-Fi, Turn Off Wi-Fi. 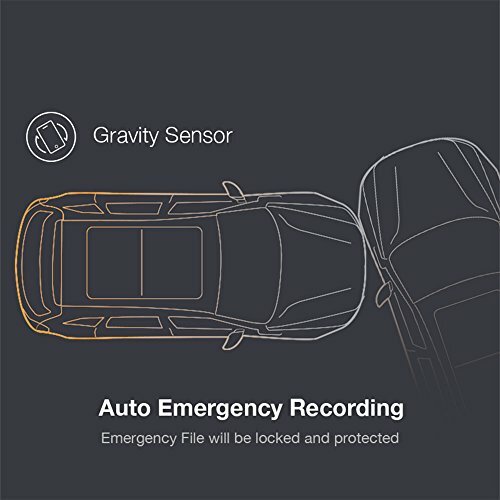 【Emergency Recording – Help with Car Insurance Claims】: When the built-in G-Sensor detects a collision, 70mai dash cam will automatically lock this video to Emergency File to prevent the video from overwritten, which can be used to restore the accident scene. 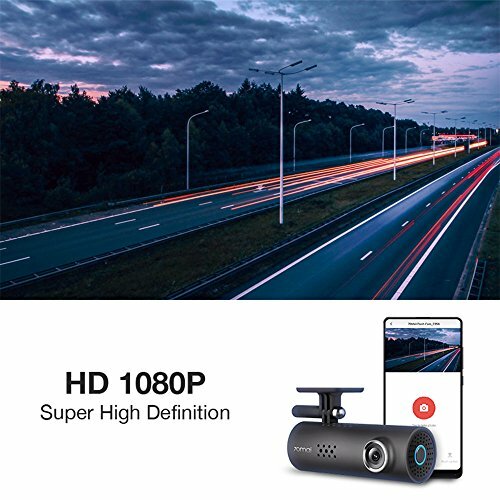 【Built-in-Wifi & APP-Enable】: Wi-Fi connection and 70mai APP allow you to operate dash camera on the phone – watching live streaming view, playback and download recording files which you need. You can find Wifi on the device and 70mai APP is available for devices running Android and IOS. • Voice Control: Six oral instructions are available: Take Picture, Record Video, Record Without Sound, Record With Sound, Turn On Wi-Fi, Turn Off Wi-Fi. Notice*: Voice command only available when app disconnected. 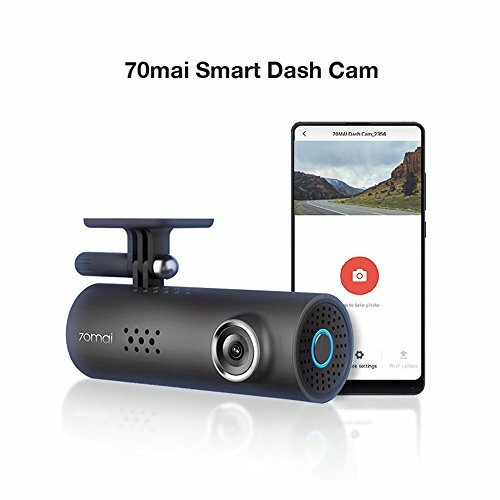 • Emergency Recording: When built-in G-Sensor detects a collision, 70mai dash cam will automatically lock this video to Emergency File to prevent the video from overwritten. 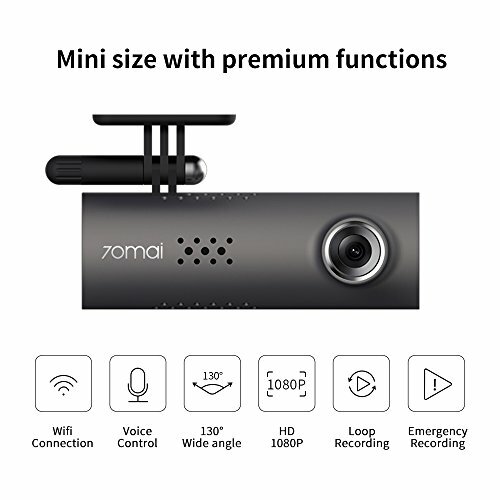 • Wi-Fi connection and 70mai APP: allow you to operate dash camera on the phone – watching live streaming view, playback and download recording files which you need. 70mai APP is available for devices running Android and IOS. • Preview the user manual before fixing the sticker is recommended. • Please use Sandisk Class 10 SD Card. 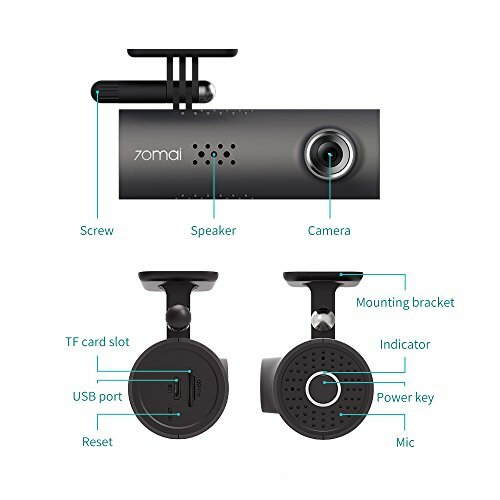 【Seamless Loop Recording- Recording your driving】: 70mai car dash camera will automatically overwrite the oldest footage with latest so that memory card can work normally. To use the car recorder it is recommanded to use Sandisk Class10 SD card. It supports high-endurance micro memory cards from 8GB to 64GB in memory size. 【Ring-shaped Indicating Light – Checking working status】: On the right side of device there is a ring-shaped indicating light, which can show three colors in different working statues: Blue – starting up the device; Green – working in normal status; Red – working in abnormal status.